JNUEE Preparation Tips 2019 can help students to crack this exam easily. JNU entrance exam (JNUEE) is conducting by NTA for those students who want to pursue UG and PG courses from Jawaharlal Nehru University. 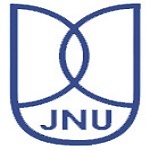 Students who are going to apply for JNUEE 2019 can get the preparation tips about cracking the exam from here. In this article, we have provided some beneficial tips for How to Crack JNU Entrance Exam 2019. Firstly, students need to make a good study plan for preparation. For that, you must have the knowledge about the syllabus and exam pattern. On the basis of your syllabus, design a proper time table in a manner that you will get the enough time for all the subjects. Time management plays a very important role in exam preparation so while preparing the time table must take care that study of one subject should not exceed for 3-4 hour as it can make you stressful. Try to make notes of the important topics as it will help you in last minute study. Before going for the exam, you can revise these notes. Notes written in your own hand writing is easy to understand and revise. Due to the wide syllabus, students get confused from where they need to start preparation. This confusion may leads to stress. So try to find some useful books that contains previous years solved question papers. It will provide you the idea about the examination but also let you know about the difficulty level of question paper. You can download the study materials from internet as well. Click here to get Previous Year Question Papers. Apart from study, it is also very important to keep yourself fit and fine. Because of studies, some students starts avoiding their health. It will affect them physically but also mentally. Therefore, students are suggested to take the balanced diet along with some fruits and nuts for healthy mind. Take a sleep of around 7-8 hours. It keeps you refresh for next day study. Make a habit of regular exercise or yoga for avoiding stress & physical fitness. These are the important tips that students have to keep in mind while preparing for the examination. If you have any queries about How to Crack JNU Entrance Exam 2019, you can ask us by leaving your queries in the comment box. the choice of language from clusters is on which basis . three languages from one cluster or three languages from two clusters. I wanna to apply for chinese,japanese and korean from one cluster, should I ? you have to choose 1 cluster out of the three. i am giving JNUEE FOR THE SAME CLUSTER. Sir Plz tell me B.A 1st Year of LLB 2018 ke liye Form kb se aa rhe h .
I’m preparing for M.A french entrance jnu. Need to know the documents required for entrance examination. Any specified level to get admission in post- graduation? Or it’s entrance based only?.. It would be grateful if i get this information..
how is jnu entrance level? i mean its tough. i am preparing for ba foreign languages entrance? give me tips. i passed 12 in hindi medium. Sir I have opted English medium in application form but I am better at explaining in hindi.i have opted for three paper from social science and I want to write one entrance in Hindi and other two in English medium.sir can I do that with? What will be it’s consequences on entrance result? sorry, alok if u have opted english medium you cannot write exam in english, jnu has given extra time for the correction in your application form, now you cannot do anything, nor you can make changes in your application at the time for counclling during addmission. I opt two course program i.e. MCA and MSc. Now I want to give the entrance exam for MCA, which is possible or not. Reply please..
you can give independent exam separately no need to worry about that. Sir how to prepare 1st year B.A. honours entrance exam for jnu? Which books can be taken for Hindi medium for philosophy and political science entrance test….Can we apply two subjects at one time? How to prepare for ma economics entrance test in 20 days? How to prepare for MA geo entrance in JNU .. Are NCERTs sufficient or we will have to thorough the graduation books as well .. According to my view NCERT books are not sufficient and you have to go through graduation level books. Hello sir I m preparing for Jnuee for M.A in English lit.I wish if u could guide on how to prepare properly to crack it.Thank u.
Hi i will give entrance exam for Centre for law and Goverance for Mphil needed your help regarding how to prepare for it? I am also a candidate for the very exam. I searched for the relevant material but did not find one. Though i have done LLb and M.A in political science, i feel the need to have relevant material for the upcoming exam. The syllabus is updated in the article. I wish to take admission in phd of jnu.but I am unable to understand that which books best for entrance to crack the exam.plz help me that what should I do and what I should not? Their are many good books available in the market, you can purchase them. Kindly refer some of the names. I am preparing for ma eglish entrance for jnu university , I want to know that how to crack poetry part in entrance paper and on which poets should focus more on ?? Sir, I want to do MA economics from JNU. I am persuading Bcom from MSU. I want to prepare for MA entrance exam. Can you help me with last year papers and some tips. I want to write ma history entrance exam in malayalam? I want to do BA in french from JNU. so for its entrance exam preparation, I have to study about all the countries which are there in the cluster or just about FRANCE? like the questions related to history and all. pratibha I am Himanshu Nayak from madhya pradesh . Mene bi BA French k from dala hua h..? Lekin kuch samajh ni a raha kiya padna h 2018 k syllabus bi nii aya. Sir I want to take admission in jnu MARCH in political science and International relations. To cracking exam which book I should I prefer. you can purchase good books from the market. Sir, how to prepare for Describe portion of jnu Ba exam. Sir, Can I give jnu BA hons entrance exam in hindi? Pattern for ma sociology ?? whether final year BA candidates can appear JNUEE to be held in the month of Dec17? I have completed BSC in CBZ. Which book I should prefer for entrance exam of JNU 2018? Their many good books available in the market, you can go for Arihant publisher books. JNU entrance exam me hindi medium se krte skte h kya. Kindly tell me which book should I prefer for BA foreign language course except the solved papers. You have to prepare yourself reasoning, English grammar, intelligence, and Gk of the country and continent where the language or cluster of language is spoken. I aren’t understand that from which topic I start to read.is manoram year book is useful for to entrance exam? What will be viva of B a hons first year? Sir, I want to join MA in Poltical science (JNU) but I don’t know the right way for prepare for this exam. give me some suggestions regarding to cracked the exam. & there is negative marking for MA in Poltical science? no negative marking. prepare by previous year papers or graduation syllabus. I have done bsc in pcm.i want to join ma geography. Can I give this exam. how can i get english syllabus. I want ask you some question. My question is that i want to give entrances in M. A Economics in JNU then what should i do. Which book should be read? Hlw..I want to know about the language course in JNU or DU or BHU..plz help me..about the syllabus of entrance exam to crack the exam..
Jnu dont run undergraduate courses in humanities . It provides degree in foriegn language at u.g. level. But u can take admission in master in political science and economics and so forth so on. Respected sir, i am a student of five years integrated msc in environmental sciences from central university of jharkhand, currently in fifth sem , want to do msc from jnu . So please tell me some books to crack the exam. Sir i am going to write BA honours language entrance exam how should i prepare pls suggest i bought previous year papers but what extra knowledge i should have to crack the exam? Please suggest me the important essay topics that may come on this year jnuee2017. (foreign languages). I’m a BSc student. I’m applying for JNU CEEB. What books would be the best and help me Crack it with a good rank?? Sir,I wish to take m.a.political science with international studies in JNU.I M GONNA TAKE JNUEE2017.1month of preparation will enough to crack the exam? ?.pls give me suggestions.how many hours I have to spend?How long will it take to prepare for examination? Sir,I wish to take m.a.political science with international studies in JNU.I M GONNA TAKE JNUEE2017.1month of preparation will enough to crack the exam.pls give me suggestions.how many hours I have to spend?How long will it take to prepare for examination? sir how can i apply for ba political science or history in jnu? I want to know which are the best books for preparing jnu cbee when there is only one month time to prepare for the exam . Sir I had complete my board exam in 2015. But I want to admission in BA hons with jnu. Sir Should I problem in admission for late? Please reply me sir. I am totally disappointed for it. If I am appearing for my entrance exam for BA french (1st year) in the third week of May , when should I start studying for it? My board examinations end on 17th of April. So I need your help to suggest me the books (not previous year papers) required to study these three subjects so that I can go through them once then make up my mind to pursue with course. Sir, thank you for useful tips for JNUEE preparation, I am preparing JNUEE for Life Science, sir, I want to know the name of some useful books that contain previous year solved question papers, sir, please mail me the name of some good book, that are important for preparation. Thank You.